See scan - perfect condition. 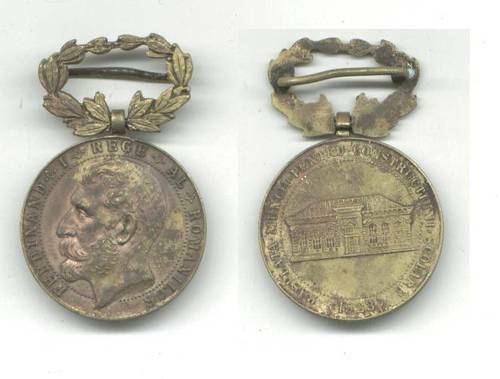 This is a very nice Romanian Royal 1923 issue School Merit 3rd Class Bronze medal - RASPLATA MUNCII PENTRU CONSTRUCTIUNI SCOLARE. Nice and scarce piece for teachers in the college schools and high schools. Collector item.